Canberra members of AFSAAP were delighted to have the subject of Africa appear on the ANU agenda on the 6th May – an uncommon occurrence given the prevailing bias towards Asia and the Pacific. In order to promote discussion on maternal and sexual health, access to healthcare and education and Female Genital Mutilation the ANU Circle for Gender Equity held its second seminar for the semester with the discussion focusing on healthcare in Africa. About thirty-five ANU students (including four males) and others attended the seminar. A presentation by Jacqueline Zwambila, former Zimbabwean ambassador to Australia provided a very comprehensive overview of health issues on the African continent. She bemoaned the fact that although leaders at the AU had many appropriate policies little was actioned at the grassroots level – and that there was no mention of Gender issues listed on the African Union website. She also noted the role of women in power, with women now becoming presidents (two so far) and Rwanda having a requirement for 42% female representation in parliament, but that much more needed to be done in all countries to improve women’s participation. Margaret O’Callaghan, former UNFPA representative and currently Visiting Fellow at the Crawford School, then commented on the subject of FGM, providing anecdotes from her UN days and putting the subject into a multi-sectoral context. She highlighted the importance of looking at health issues from a psycho-social angle in order to really understand the reasons for why things were happening the way they were. In particular she recommended that the audience read this article in order to understand why it was that women were the major supporters in the continuation of the custom. Jane Armstrong, Clinical Training Manager of the Aspen Medical Australia, then spoke about the management of emergency training and support of an Australian and New Zealand health personnel team. This emergency exercise was funded by DFAT as Australia’s contribution to addressing the recent epidemic in Sierra Leone. She noted that not only did they contribute to saving lives and providing palliative care to others who weren’t so lucky, but they helped to prevent the infection from spreading further. Unfortunately because of the very full programme there was insufficient time for audience participation, which always provides much added value to such an event. The ANU’s Circle for Gender Equity is proud to hold its second seminar for the semester with the discussion focusing on healthcare in Africa! We will be promoting discussion on maternal and sexual health, access to healthcare and education and Female genital mutilation. Jacqueline Zwambila, former Zimbabwean ambassador to Australia. She is noted for her activism on women’s rights and promotion of health and education. Jane Armstrong, Aspen Medical Australia Clinical Training Manager. She has ran Ebola training as well as specific training around doctors working in Africa. We will be showing the incredible TEDx Canberra video by Khadija Gbla, a highly recognised activist and influential leader in raising awareness about Female Genital Mutilation. Please join us for an informative evening. Refreshments will be provided. This event is open to all members of the ANU and Canberra community. We regret to announce the death of Anthony Low, one of the ANU’s most distinguished Africanists, in Canberra. Appropriately for the first President of the African Studies Association of Australasia and the Pacific, Anthony Low announced his retirement from African Studies at the 2012 AFSAAP conference at Burgmann College, ANU. He had thus spent over 60 years in the field of African Studies. 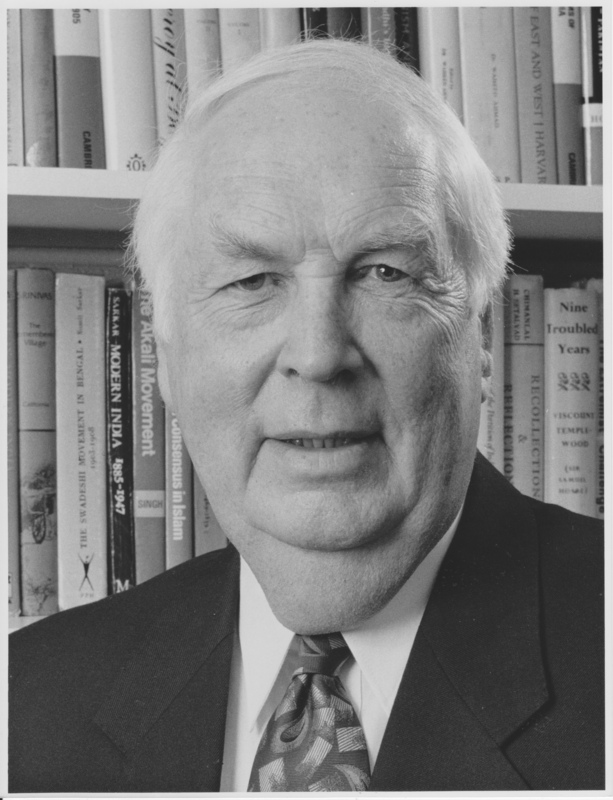 Born in India in1927, the son of Canon Donald Low and Winifred Low, he was educated at Haileybury historical connections with the East India Company. He went up to Oxford in and Imperial Service College, a school with 1944 gaining his BA in 1948 and his MA in 1952. His D. Phil. on ‘The British and Uganda 1862-1900’ was awarded in 1957. His illustrious academic career began in 1951 as a Lecturer at Makerere College, University of East Africa. 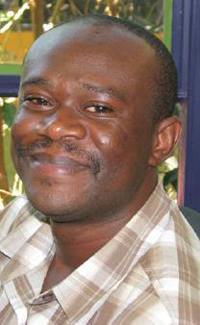 He was also Uganda correspondent for The Times. While undertaking archival research in Zanzibar he met Isobel Smail who was nursing in the Protectorate and was proficient in Swahili. They were married in Zanzibar Cathedral in 1952, celebrating their 60th anniversary in 2012. Anthony had three stints at The Australian National University. He moved from Uganda to the ANU in 1959, staying until 1964 when he became Professor of History at Sussex. He returned to the ANU in 1973, and was Vice-Chancellor from 1975 to 1982. Coincidentally another Africanist, Sam Richardson, was head of C the Canberra College of Education (now the University of Canberra) around the same time. From 1983 to 1994 he was Smuts Professor of the History of the British Commonwealth at the University of Cambridge. On his return to Canberra he became Vice-President of the Australian Academy of the Humanities in 1996, an Officer of the Order of Australia (AO) in 2005, and Emeritus Professor at the ANU in 2010. Buganda and British Overrule (with R.C. Pratt). Oxford University Press, 1960. Buganda in Modern History. University of California Press, 1969. The Mind of Buganda . University of California Press, 1969. The Egalitarian Movement: Asia and Africa 1950-1980. Cambridge University Press, 1996. Keith Hancock: The Legacies of an Historian. Melbourne University Press, 2001. The Fabrication of Empire: the British and Uganda Kingdoms, 1890-1902 Cambridge University Press, 2009. The publication of the latter (reviewed in the AFSAAP Journal) was marked by a launch at University House, ANU, to which the members of the ANU’s African Students Association were invited. Younger scholars should note that this last book was published when he was over 80. Anthony was the first President of AFSAAP, serving from 1979-1982. His final AFSAAP talk was entitled ‘Origins of Social Science Research in Uganda’ which turned into a lively discussion on the past and future of Africa Universities. Lucas, David, 2013, ‘Anthony Low retires’. The Australasian Review of African Studies, 34(2);7-8. Personal communication from Anthony Low. Who’s Who 2013. A & C Black, 2012. Attached is Robin Jeffrey’s Eulogy. Attached is Matthew Neuhaus Harare’s Eulogy. Attached is Adam Low’s Eulogy. Dr Makandwe Nyirenda from the Africa Centre for Health & Population Studies, University of KwaZulu-Natal in South Africa has been awarded the first John C Caldwell African Research Visiting Fellowship and should arrive at the ANU later this year. The Fellowship is funded through the John C (Jack) Caldwell Chair in Population, Health and Development Endowment Fund – Jack Caldwell being one of the ANU’s most distinguished Africanists. Dr Nyirenda is a graduate in Demography and Economics from the University of Zambia, thus maintaining the ANU’s link with UNZA. Please see the below information on an informal presentation by RegNet PhD Visiting Fellow, Charlotte Heyl. Charlotte is part of our DAAD Research Exchange Program with the GIGA Institute of African Affairs (Hamburg, Germany) led by Dr. Bjoern Dressel of the Crawford School. Electoral processes in Sub-Saharan Africa are prone to electoral irregularities. Reoccurring and unsanctioned irregularities shake the confidence of voters and candidates in the electoral process and can thus jeopardize the voters’ willingness to participate in elections as well as the elections’ competitiveness and legitimacy. Impartial electoral contestation adjudication can however serve as an “institutional safety-valve” (Mozaffar / Schedler 2002) that compensates short-comings earlier in the electoral process. In Francophone Africa constitutional courts are the electoral judges of presidential and legislative elections. Which role do these constitutional courts play in reality in electoral processes? How do they contribute to the democratic quality of elections? The doctoral thesis analyzes in a first step the institutional structure and performance of constitutional courts in five African electoral democracies (Benin, Madagascar, Mali, Niger and Senegal) before it examines more deeply the dynamics of electoral adjudication in Madagascar and Senegal. Charlotte Heyl is a Political Scientist and a research fellow at the GIGA Institute of African Affairs in Hamburg (Germany) as well as at the University of Duisburg-Essen (Germany). She works in a research project on” Judicial Independence in New Democracies” led by Dr. Mariana Llanos. Her doctoral project deals with the role of African constitutional courts in electoral processes. She has field work experience in Madagascar, Mali, Mozambique and Senegal. To date our study of Africans in Australia has compared Humanitarian entrants from Africa with other migrant categories. This presentation seeks comments on the next step which will focus on Humanitarian entrants. The conference will be hosted by the African Group of High Commissioners and Ambassadors and the Australia Africa Universities Network (AAUN). The conference sponsors and supporters include: Australia Africa conference 2014, Australia Africa Business Council , Canberra Business Council, Department of Foreign Affairs and Trade (DFAT) in Australia, The ACT Exporters Network, Windlab Systems Pty Ltd, AAUN, and ANU and Crawford School of Public Policy. The Law Faculty is offering a new course on Law and Governance in sub-Saharan Africa, four days: October 2-3 and 7-8.